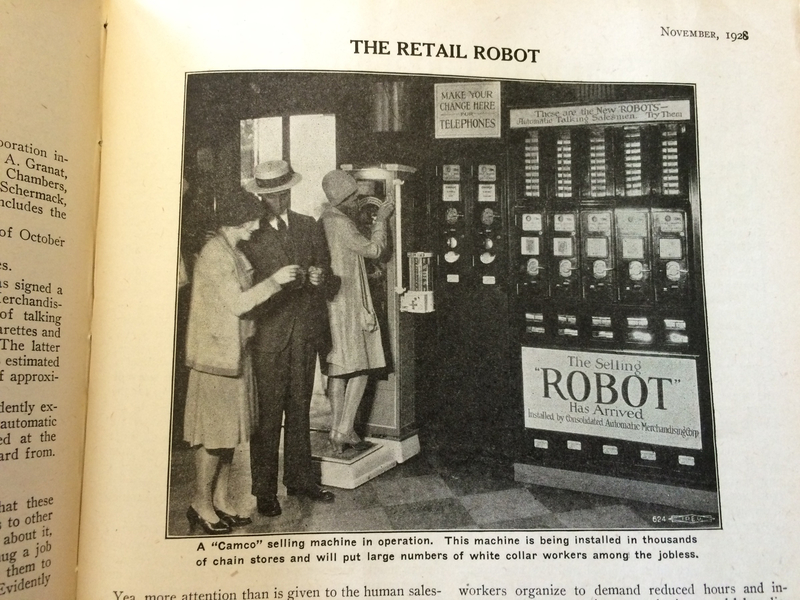 As I work through my book manuscript, I am coming across a rich crop of new robot images to supplement my earlier article Why Do Robots Rebel? 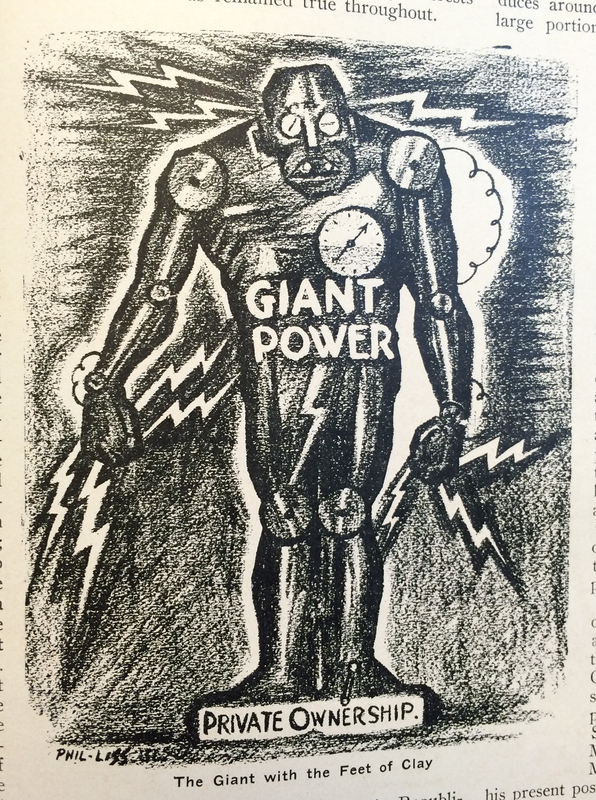 As it happens, the journal Labor Age was a frequent publisher and re-publisher of robot imagery reflecting its editors concerns with technological unemployment, company unions, and the power of the state. 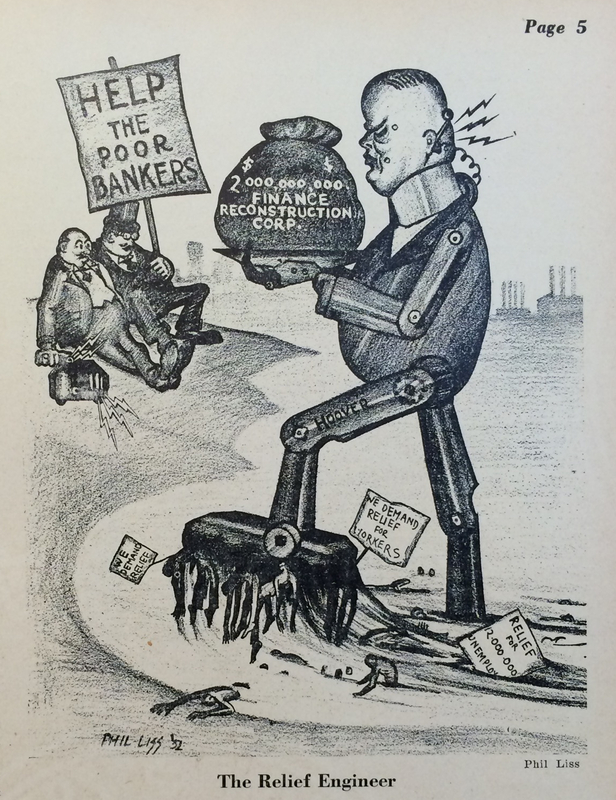 For instance, “The Relief Engineer” depicts Herbert Hoover as a robot trampling workers underfoot as he delivers aid to needy bankers who call to robot-hoover by means of a remote control device. 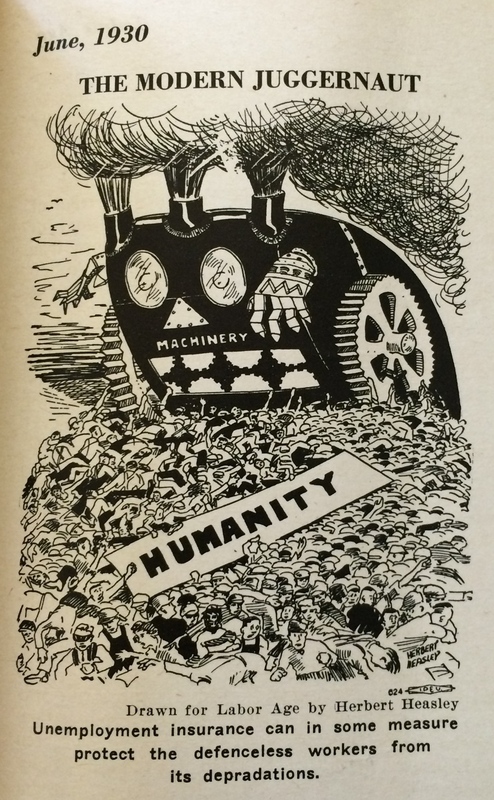 The cartoon falls in line with many others that depict anthropomorphic robots as crushing human bodies or sweeping them into dustbins. 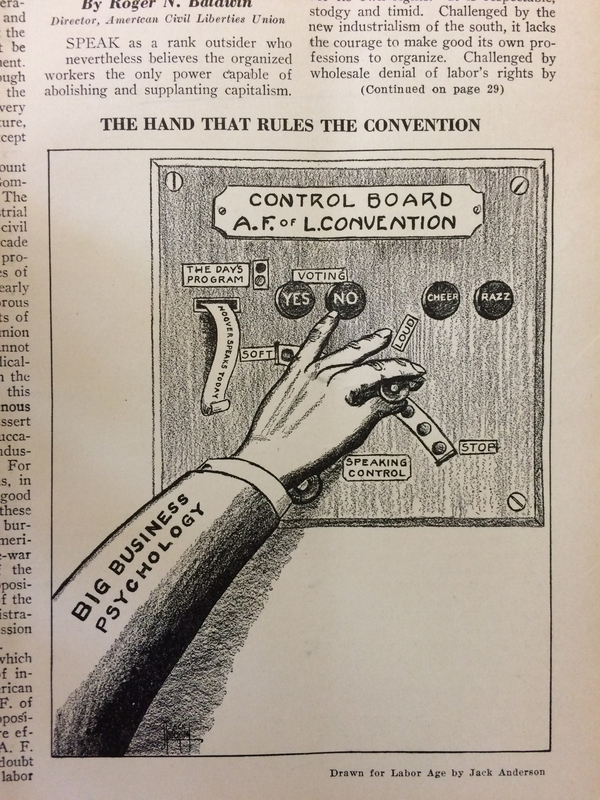 Remote control devices as a symbol for lack of individual will was also a common them in Labor Age, for example in the cartoon “The Hand that Rules the Convention” depicting “Big Business Psychology” directing the votes of AFL delegates by means of an electric box. 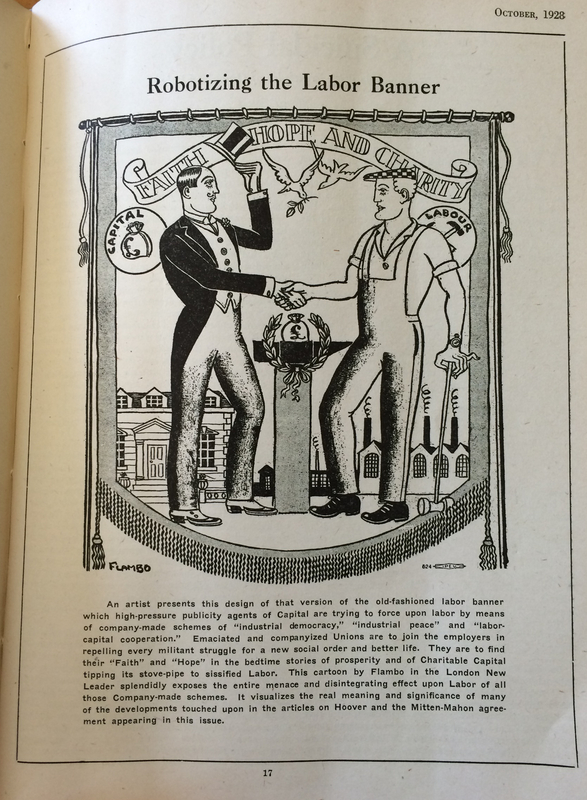 Among the more unusual images is “Robotizing the Labor Banner,” borrowed from the UK, which depicts AFL cooperation with business leaders as a homosexual partnership. 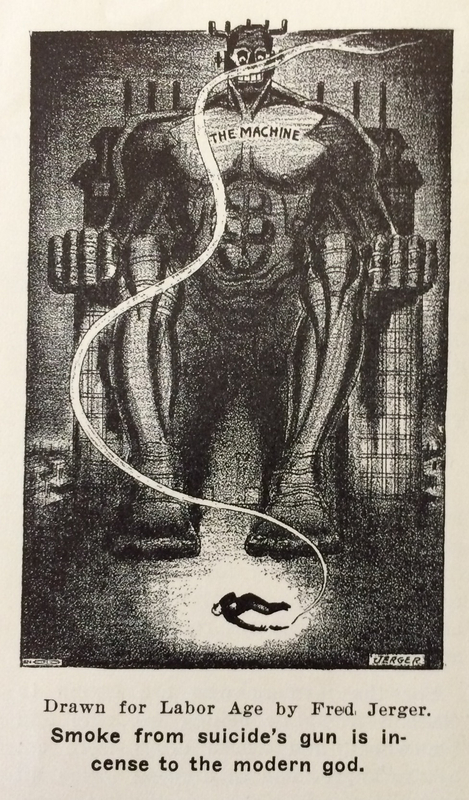 The image really has no robot allusions, so the title points to the extreme flexibility of the term, able to encompass all manner of negative connotations. All of these, and more, appear in my Flickr album, Robots. 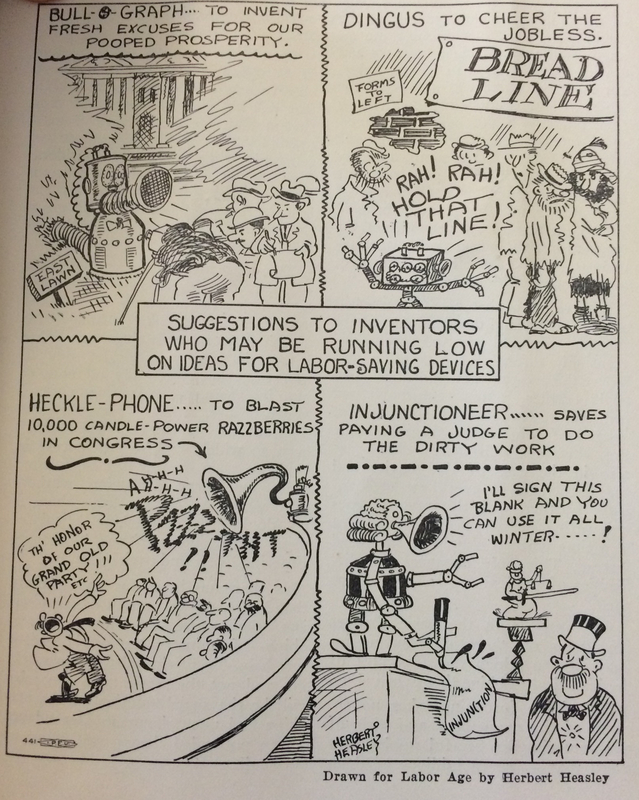 This entry was posted in Document, History, Iconography, Labor, Technology and tagged images, Labor Age, robots. Bookmark the permalink.